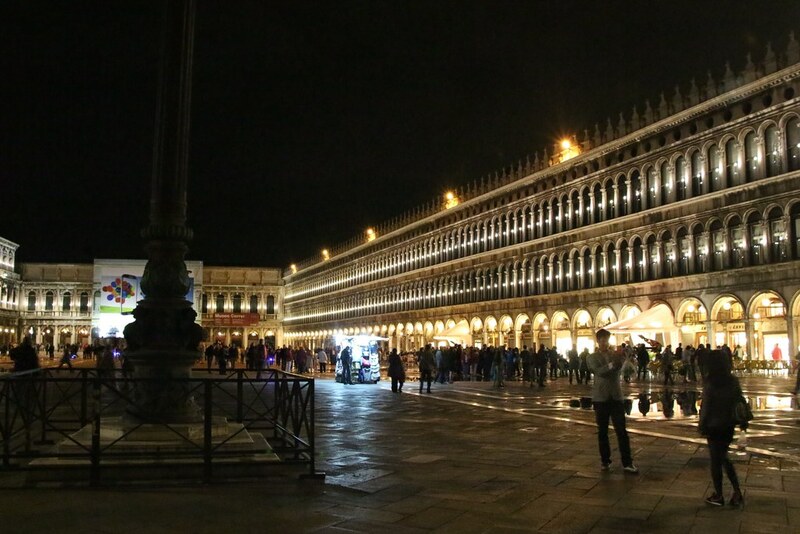 Nighttime is one of the best time to get out and walk the streets of Venice. Many of the hoards of cruisers are back on their ships and many other tourists who stay in the cheaper hotels on the mainland have also departed, leaving the streets almost empty. Many restaurants are only open at night since they like to avoid the tourists. They like to cater to locals so their food is devoid of cheezy, touristy set menus. The special of the day is always recommended since the fresh fish is usually caught that very morning and changes depending on the season. Next, jump on the public transit canal boat which drives down the Grand Canal. Seeing the buildings and their lights dancing on the black water is a completely different experience than seeing it during the day. The Rialto Bridge lit up at night and is a stunning sight to see under the moonlight. Suddenly the clutter and clatter of the city are all pushed aside, and you are only left with a stark vision of the buildings around you. Every line and curve is emphasized in the dark and the architecture seems to move and come alive. San Marco or Saint Mark's Square s one of the most impressive places to visit when the sun goes down. It was much quieter than it had been during the day. Suddenly different things reveal themselves to which may have been obscured by people in the day. The ornate street lamps with Murano Pink Glass provided the most delicate light onto the Piazza. Duelling orchestras set themselves up in Saint Marks' Square and perform for diners surrounding the square. They are exquisite performers, and their energy livens up the night. If you are looking for more music, there are a myriad of concerts to choose from at different venues throughout the city. There are Vivaldi show inside ancient churches and Mozart performances by wig-wearing musicians. If you want a little nightcap, many sites will send you to Harry's Bar. Opened in 1931, it has been visited by such legends as Ernest Hemmingway, Charlie Chaplin, Orson Wells and Peggy Guggenheim. But this place has lost its lustre and drinks will run you well over 20 euros. The service tends to be a bit rude when it comes to serving tourists so I'd say skip the sentimental past and head over to the Skyline Rooftop Bar. 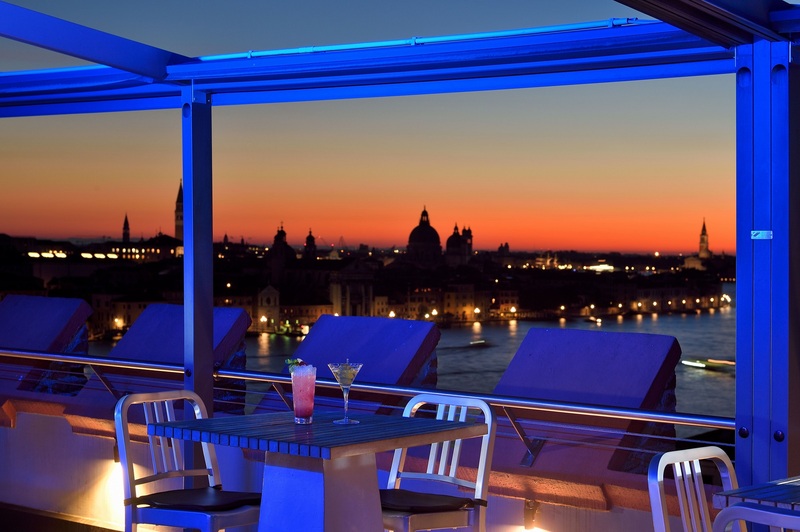 Here, eight-floors above the city, you have one of the best views across Venice. 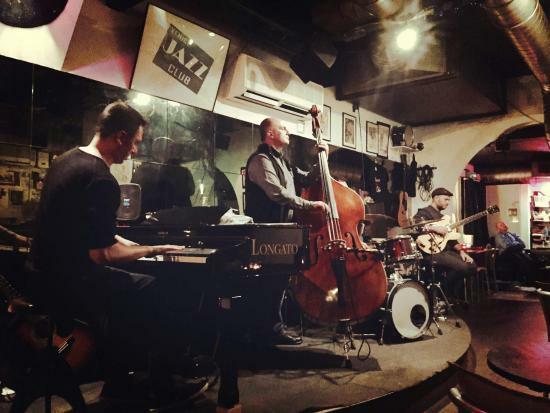 The Venice Jazz Club is another classy joint where you'll find great company, tasty cocktails and fantastic music! An excellent place to sit and relax and enjoy the atmosphere. If you'd rather perk up- head over to the Caffe Florian. On Fridays and Saturday, it's open until 11 pm and the rest of the week till 9 pm. 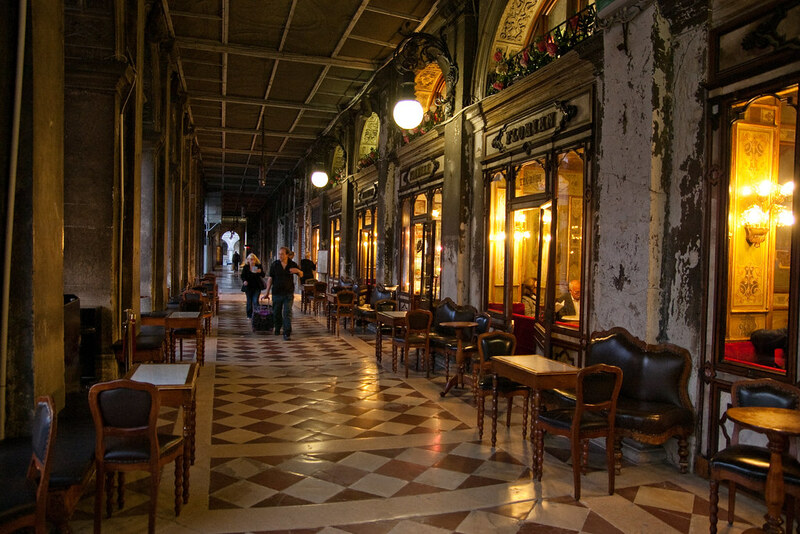 This cafe was opened in 1721 and still serves up some of the finest coffees and wines located right inside Saint Marks Square. Some of their most exquisite and decadent coffee creations will only run you 7 euros, which for the location and history you are surrounded by is very decent. 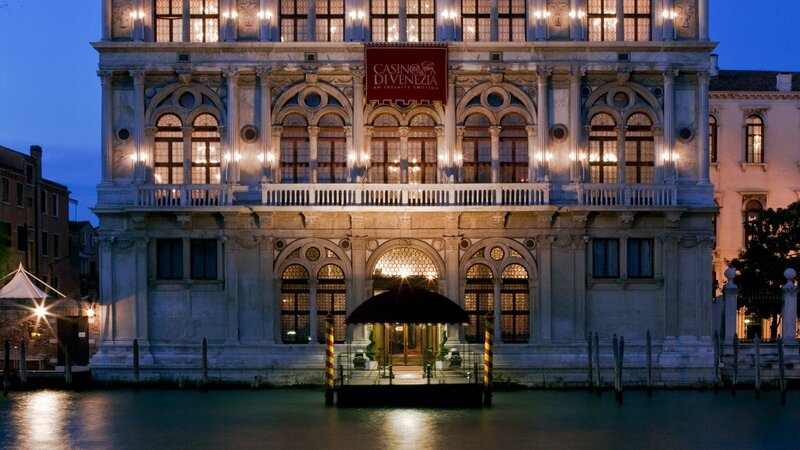 If you feel like some more ambitious, check out the Casino Di Venezia, the oldest casino in the world, opened in 1638. Inside this antiquated building are some of the most opulent interiors you can see in Venice. There are dozens of old fashoned casino games like chemin de fer and as well as the traditional blackjack and roulette. 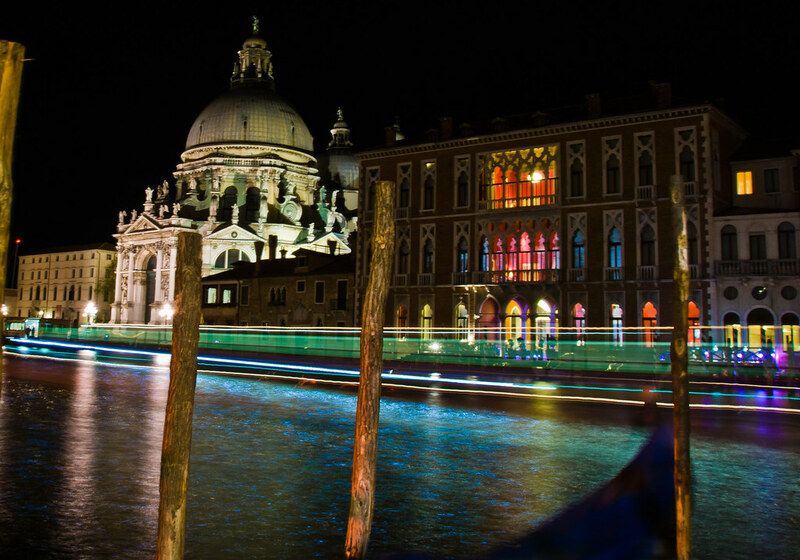 But truly, the best thing you can plan on doing in Venice at night is wander through the canals and waterways. Secrets reveal themselves to you at night and you never know what you're going to discover.